The Corbett School Board Wednesday night approved hiring an outside consultant to evaluate the finances of the district as a way to build enough trust with the community to pass a facilities bond. 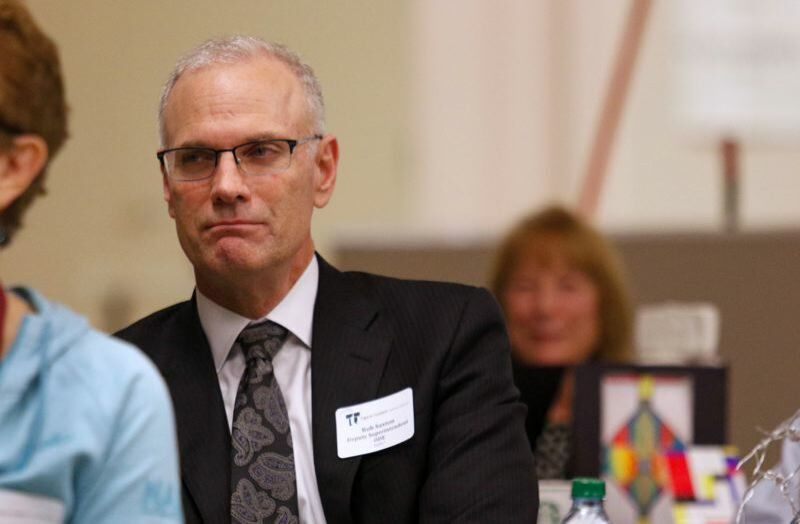 The schools plan to hire Rob Saxton, former head of the Oregon Department of Education and now the superintendent of the Northwest Regional Education Service District, to take an impartial look at the district's finances and programming. "The board did approve the contract with Rob Saxton" at the Wednesday, Sept. 19, school board meeting, school board Chairwoman Michelle Vo said. Saxton will be paid $8,500 for 50 hours of work, and with board approval, $200 per hour after that if more work is needed. "We're looking forward to seeing Rob's report," Vo said. The Corbett School District failed four times in recent years to pass a bond to improve school buildings. The board earlier had talked about trying again in November, but decided to put a bond off until 2019. An independent community group called Independent Citizens for Sustainable School Solutions (IC3S) formed and talked with Corbett residents about why they did not vote for the school bonds. The committee found a general mistrust of the administration and board as one reason the bonds did not pass. But the community group's proposal to hire an independent outsider has been controversial. Some were concerned about the district paying for a consultant that they had no control over. Others worried that because the district was paying for the consultant, voters would not perceive him as independent. "It was a good, healthy discussion," Vo said of the Wednesday board meeting. Saxton is charged with completing and delivering "both a written and verbal report with recommendations to the IC3S (community group) regarding the efficiency, efficacy, economy of scale (sustainable sizing) and potential improvement of district spending and programming." Saxton's report is due no later than Feb. 15, 2019. Another hitch in passing a bond is that some Corbett voters have said they are not willing to pay for new school facilities to house children who don't live in Corbett. About half of the students in the district come from outside the district. Although Corbett school bonds have failed four times, administrators and the school board have been heartened by the fact that each bond attempt lost by a smaller number of votes. A 2013 bond lost by 415 votes, a 2014 bond by 174 votes, 2015 by 157 and the $11.9 million bond on the May 2016 ballot by 125 votes. The biggest facilities concern is the safety of Corbett Middle School, 35800 E. Historic Columbia River Highway. An engineering report said that in an earthquake the masonry wall could fail and the middle school building could collapse. In addition to earthquake dangers, the middle school contains lead and asbestos and does not comply with laws requiring accessibility for handicapped people.